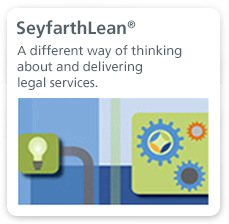 Seyfarth Shaw was founded in Chicago in 1945 by distinguished labor lawyers who were both practical and visionary. The Chicago office remains the firm's largest office and has grown in size and strength. 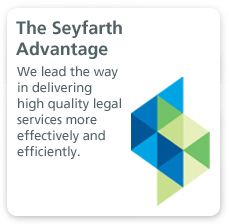 Our attorneys practice in virtually all aspects of the law that relate to today’s business across various industries in the United States and internationally. 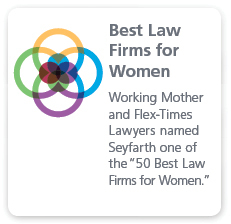 The Chicago office has maintained its nationally recognized strength in the areas of labor and employment and employee benefits law, while greatly expanding and strengthening its practices in the areas of corporate and finance, environmental, estate planning, real estate, intellectual property, trade secrets, bankruptcy and litigation. The Chicago office also prides itself on it efforts to immerse the firm into the fabric of the greater Chicago community - providing pro bono legal services, supporting important civic and bar events and helping to raise money for worthy causes. The Chicago office is proud to be a major benefactor of the American Cancer Society and its Relay for Life and is equally honored to hold the American Heart Association's "Law Chalice" as the city's top law firm donor to the American Heart Association's Chicagoland Heart Walk.